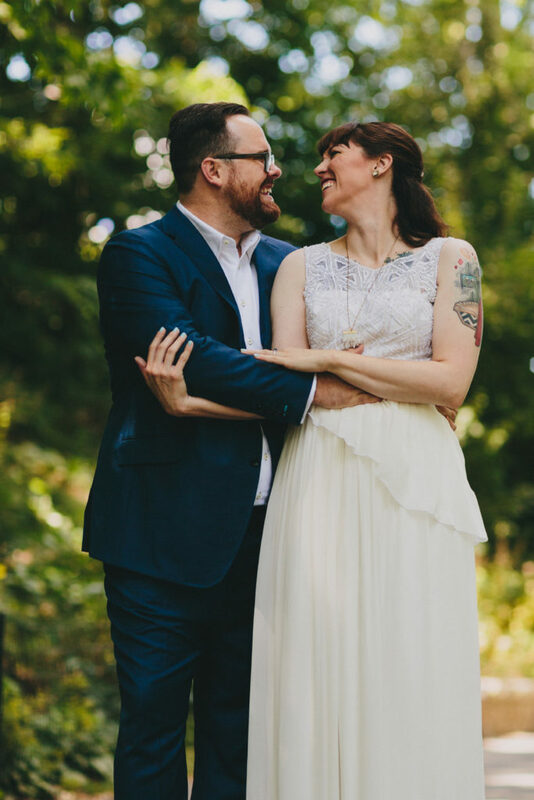 When we heard that one of our closest photographer buddies in town was tying the knot, we just KNEW we had to work with his amazing fiance, Erin! 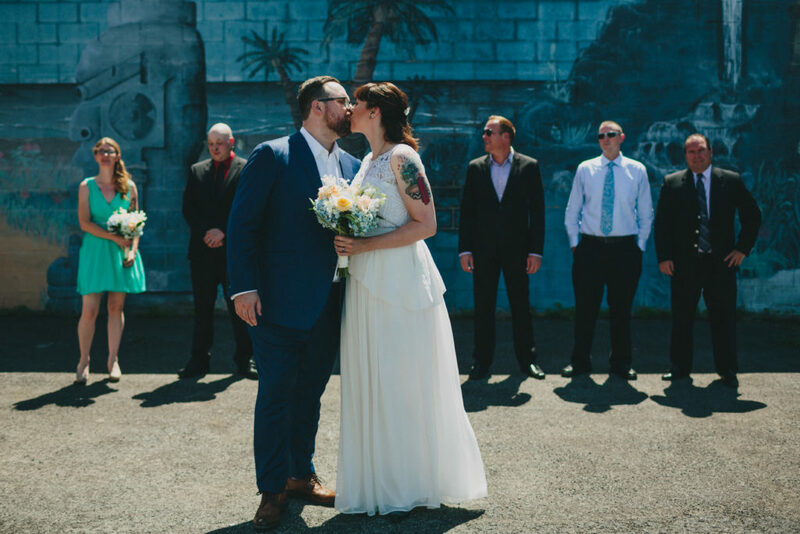 Erin came to us as a self proscribed non-girly-girl who really wasn’t sure what she wanted in a wedding dress, but she was certain that she didn’t want to set foot in a traditional bridal shop. 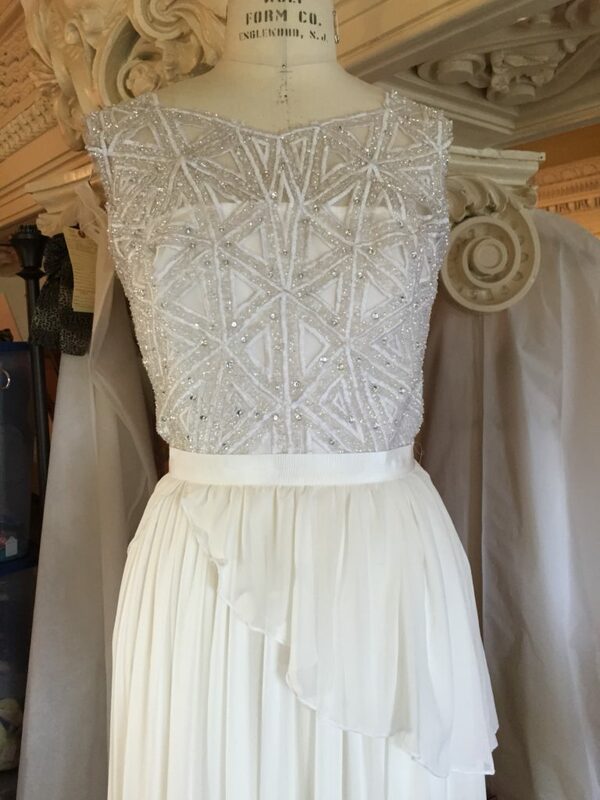 Knowing her personal style, her killer physique and personality, we found that amazing geo-beaded lace to pair with the delicate and dreamy chiffon. 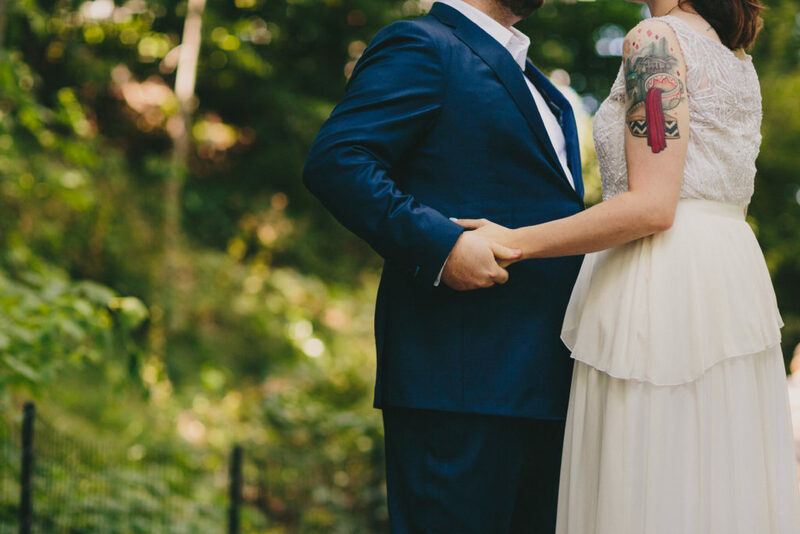 We knew she would love the little details like the asymmetrical peplum and grosgrain waistband! We do too!